Formulated to give maximum lift and texture by boosting from the roots to create magnificent volume. This fine mist-foam delivers the lift and support that is essential for a long lasting, dramatic and textured style. 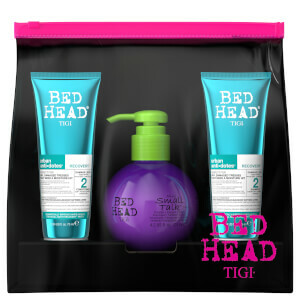 TIGI Tip: After using Catwalk Your Highness Elevating Shampoo and Nourishing Conditioner. Split hair into sections and spray directly onto roost. Blow dry to style.